This is an abstract water color painting. Inside painted Allah surrounded by green, blue colors. The recent terror attack in mosque in New Zealand inspired to paint this religious abstract painting. Commemorating all the unarmed humans killed inside the mosque by the terrorists. 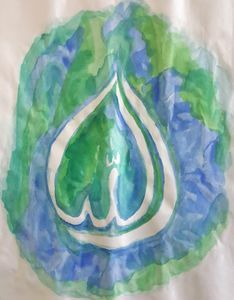 The blue, green and inside white Allah is painted to bring calm and peace to the viewers. 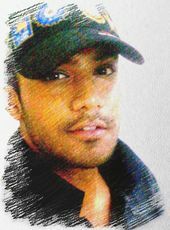 The simplicity is the priority of this abstract painting. Art paper is used with simple water color brush and water color.